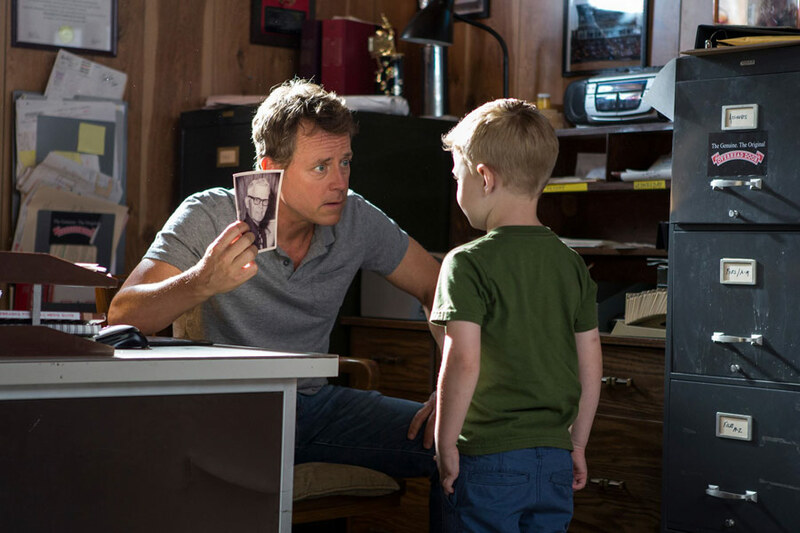 Greg Kinnear, Kelly Reilly and Connor Corum star in the family drama Heaven is for Real, based on the bestselling non-fiction book. Watch the movie trailer and see the poster and photo for Heaven is for Real below. 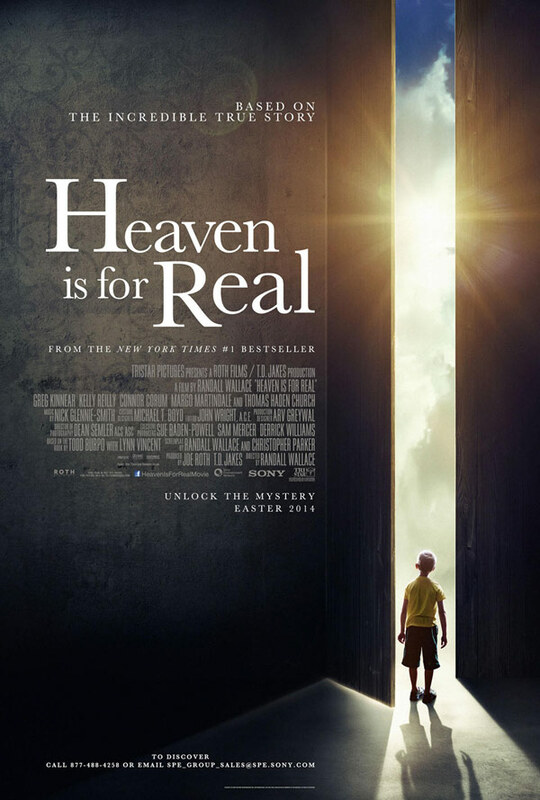 Todd and Sonja Burpo’s young son Colton (Corum) recounts tales from his visit to heaven after recovering from an emergency operation after a near death experience. Todd and his family are then challenged to examine the meaning from this remarkable event. MPAA Rating: (PG) for thematic material including some medical situations. Todd Burpo and Sonja Burpo are the real-life couple whose son Colton claims to have visited Heaven during a near death experience. Colton recounts the details of his amazing journey with childlike innocence and speaks matter-of-factly about things that happened before his birth … things he couldn’t possibly know. Todd and his family are then challenged to examine the meaning from this remarkable event.